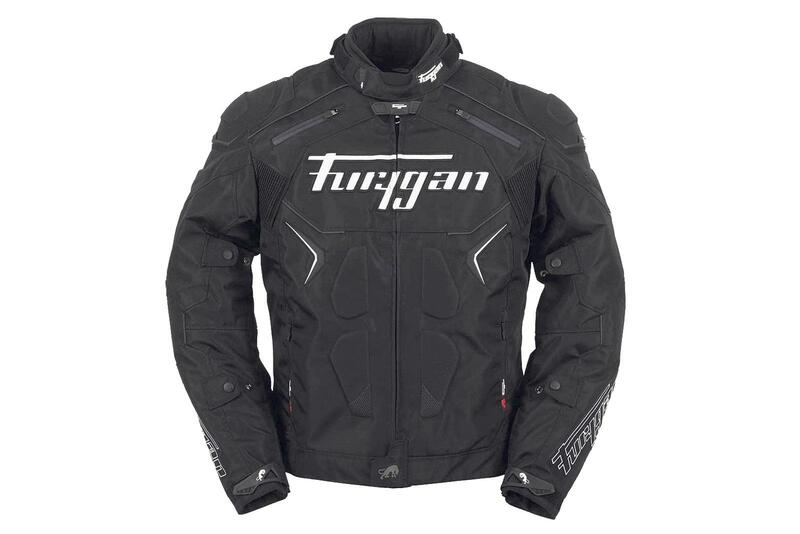 The Titan Evo is Furygan’s top-of-the-range textile jacket that has been inspired by the French firm’s racing heritage. It’s robustly made using a polyamid outer, which Furygan say is dirt-resistant, tough and waterproof, especially with the help of its internal Polymesh lining which is both waterproof and breathable and which Furygan also claim is “pleasant to wear”. The jacket comes with D30 armour at the elbows and shoulders which have been CE approved. It features a removable thermal padded lining that has aluminium inserts on the chest. When the weather does eventually get warm, the jacket has vents on the chest and back that help air flow through the jacket to regulate your body temperature. A zip at the waist allows the Titan Evo to be connected to Furygan trousers and there are also additional snap claws that allow the jacket to be connected to a belt. Although there is provision for a back protector, if you want protection here you’ll have to pay extra for it. A level-2 CE-approved D30 back pad for this jacket costs an extra £35.99.